This fabulously renovated contemporary style house is just perfect if you want somewhere to . . . Spacious and bright bungalow built in 1992 close to amenities (bakery, bar/restaurant, . 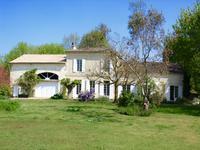 . .
Large stone house fully renovated on the 'wine route' offering 5 large bedrooms and living . . .
READY MADE BUSINESS and a new life in France - Here's a business that's been going steady for . . .
Vineyard ready to use, 21 hectares in Bergerac / Montravel AOC, vine well maintained 25 mn . . . 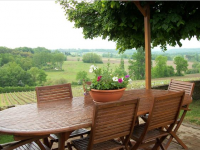 In the Dordogne Valley between Bergerac and Saint-Emilion, 1km from amenities and train . . .
Charming stone house lovingly renovated using organic materials such as wood and stone . . . 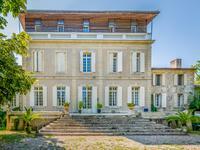 This CHATEAU is set on very peaceful private location on the banks of the river Dordogne, . . .
Lovely old stone family home, 4 bedrooms,family bathroom, lovely open south facing living . . . This three-bedroom bungalow will amaze you as there is so much more to it than it would . 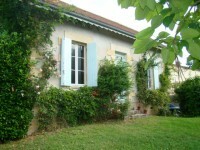 . .
Beautiful 3 bedroomed cottage surrounded by vines. Lovely property with easy access to shops , schools and train service. Located approx 40 . . . This lovely old stone family home has been well maintained over the years and is in good . . .